Your exterior doors are easily the most used doors in your home and can experience a lot of wear and tear from daily use. That’s why it’s important to have a door that’s up to date and durable. Not only will you get a top performing door from Feldco, but we offer a variety of styles and color combinations so you can customize a door that will be perfect for the look of your Peoria home. 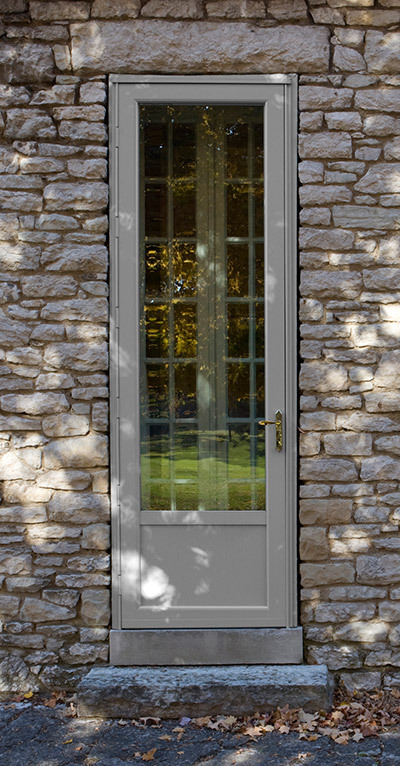 We offer a wide variety of exterior doors. With Peoria weather in mind, Feldco doors are energy-efficient, durable and custom-made to fit any design and style needs. 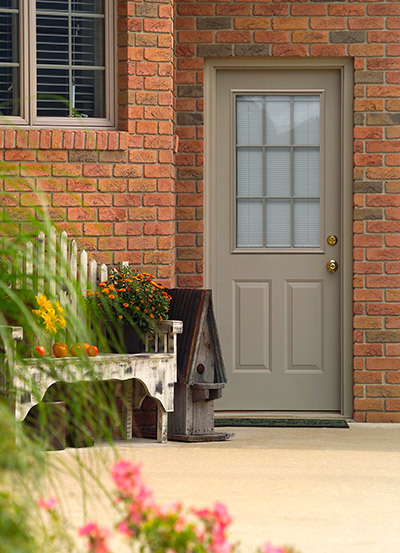 Your entry door is typically in the front and center of your home so it’s important that it’s up to date. 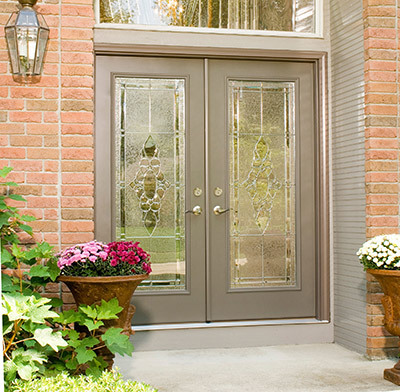 We offer many styles of steel and fiberglass entry doors that will make a beautiful addition to your home. With a variety of wood grain finishes and colors available, you can create an entry door that’s perfect for you. Enhance them even further with the decorative glass and hardware options we offer. Regardless of which style you choose, you will have a door that provides you with durability and energy efficiency combined with a look you’ll enjoy for years to come. By creating a barrier between your entry door and the outside elements, a Feldco storm door keeps your new or existing entry door protected from any weather condition. Some styles come with retractable and removable screens to give you more ventilation. 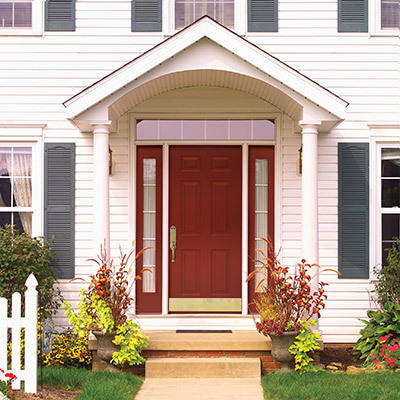 Not only are storm doors are a great way to protect your exterior door and to let air into your home, but there are a variety of color combinations available to complement your home’s entryway. 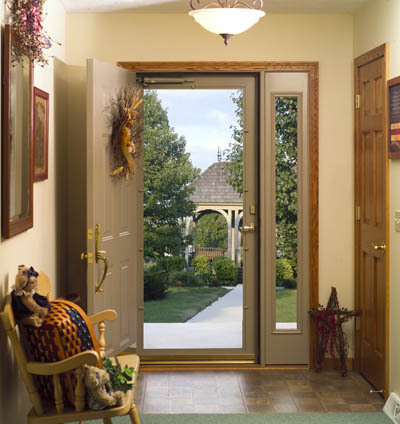 Enjoy access to your deck or patio all year long by updating your patio door. This easy to use door will maximize the amount of light entering your home and make any room seem bigger. Depending on the amount of space available, you can choose between a swinging or sliding patio door. Regardless of which style you choose, you will enjoy both the look and energy efficiency that comes with it. 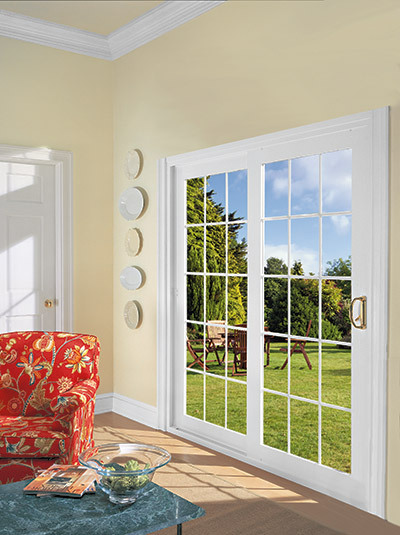 French patio doors are swinging patio doors which can be hinged to swing open inward or outward. 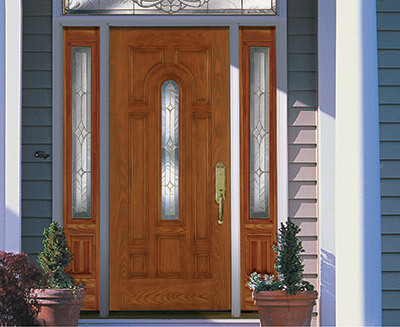 Choose between any of our entry door designs to custom make a look perfect for your home. When there isn’t room for your door to swing open, sliding patio doors are the way to go. Feldco sliding patio doors open smoothly and offer the greatest amount of light and air flow for any room in your home. It’s important to have your exterior doors properly installed for them to perform at their best. That’s why the team of installers that install your new door are factory trained and detail-oriented to make sure your install goes perfectly. From carefully removing your old door to cleaning up after it’s all done, the installers will make sure you’re delighted with the entire process. All you have to do is sit back and enjoy your beautiful new door. We want to make it easy for you to replace your exterior doors. Our trained Product Specialists will help you choose the best door for your style and budget needs and the team of factory trained installers will work diligently to properly install your door. Know that any door you choose is designed to handle all weather extremes in Central Illinois and will protect your home for years to come.